FleetRates.com is 3,000+ dealerships strong, offering over a Half Million new and used cars available for immediate, Nationwide delivery, at deeply discounted low member prices. Only on FleetRates.com will you find low fleet prices on all 2014, 2015, 2016 Lexus, Mercedes Benz, BMW, Land Rover, Porsche, Acura, Cadillac, Hummer, Infiniti, Toyota, Audi, Maserati, Rolls Royce, Bentley, Aston Martin, Ferrari, Lamborghini, Jaguar, Nissan, Saab , Volvo & more. FleetRates.com is a new and innovative way of buying or leasing your new 2015-2016 vehicle. Our factory authorized dealer network honors our low member prices and lease payments we set online. We help thousands of consumers get quick and easy low prices and lease terms on the exact new car they are looking to buy or lease. We have FleetRates.com certified fleet managers at some of the highest volume dealerships nationwide, allowing us to save our customers thousands of dollars. Our staff constantly researches the market place for the most up-to-date and competitive vehicle pricing available. We offer all makes at low prices including the Lexus, Mercedes Benz, BMW, Land Rover, Porsche, Acura, Cadillac, Hummer, Infiniti, Toyota, Audi, Maserati, Rolls Royce, Bentley, Aston Martin, Ferrari, Lamborghini, Jaguar, Nissan, Saab , Volvo & more. All vehicles are available in all colors with your choice of available options. Nationwide Delivery is available on all cars. Be the next person to save big, and get the best price on your new 2014, 2015, 2016 vehicle via the Internet at FleetRates.com. It's as easy as 1, 2, 3. We deal directly with large volume franchised dealerships offering special FleetRates.com member discounts. We have the Inside track on all the "hidden dealer cash" including factory incentives, rebates, marketing support programs, special finance and lease programs and pass the savings on to you. Become a FleetRates.com Member now and save thousands on your new 2015-2016 car. Disclaimer: All advertised lease payments are based with 10% capitalized cost reductions plus standard drive off fees. Typical terms are 36-48 months with A tier one credit and are based on between 10-12K miles per year. Payments shown don't include taxes or registration fees, are subject to credit approval and prior sale. All advertised prices and payments include all factory rebates and incentives and are subject to qualification. 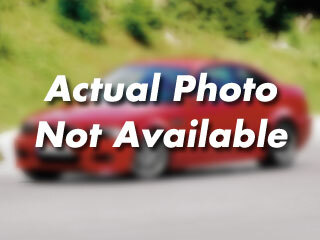 Photos shown are vehicle stock photos and are for demonstration purposes only. Actual vehicle may vary based on color, options and trim level selected. Prices may vary by region depending on market conditions. Vehicle may be subject to prior sale. We and our partners disclaim any warranty as to the availability of, condition of, or accuracy of information provided about the vehicles listed on this website. Some vehicles may have dealer added equipment not disclosed.